With the new 2019 Kona Electric SEL trim, enjoy the standard EV fast charge feature with a 7’’ touchscreen display for audio and a shift-by-wire transmission. With the upgraded 2019 Kona Electric Limited trim, you can enjoy the improved features of LED Highlights and a power tilt and slide sunroof. When you upgrade to the Ultimate trim, you can experience the features of the previous two trims, plus the advantages of the smart cruise control system with stop and go cruising, and a combiner-type heads up display. 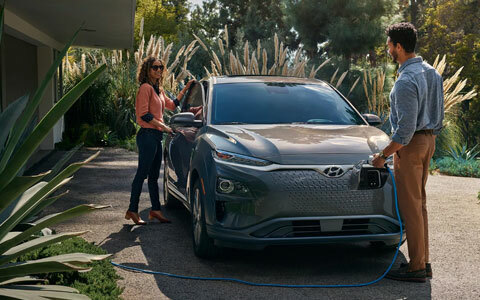 The new 2019 Kona Electric is the new premier Hyundai electric vehicle and you can find yours at Premier Hyundai of Tracy near Modesto and Livermore, CA. 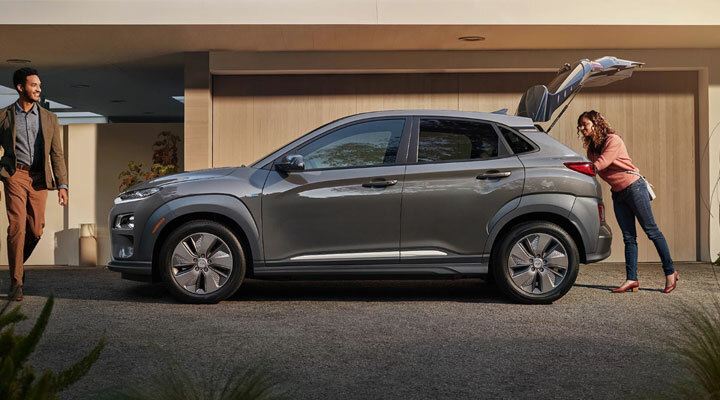 The new Hyundai Kona Electric is more than just a city commuting electric vehicle, with the estimated 258-mile range you will be able to take this car on a road trip by using one of many convenient charging stations around the country. Visit our Premier Hyundai of Tracy dealership to explore the many features of the new 2019 Hyundai Kona Electric. 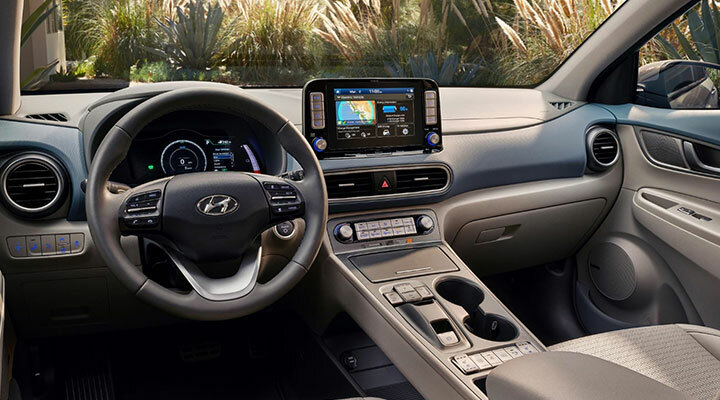 Inside the new 2019 Hyundai Kona Electric is the available smart tech features such as the heads-up display and the available 8’’ touchscreen with a navigation system. You can also enjoy the available Blue Link app that puts remote control features onto your phones such as Apple CarPlay™ and Android Auto™. If you are interested in learning more about the new 2019 Hyundai Kona Electric, contact our sales team today to learn more! With one look of the new 2019 Hyundai Kona Electric and you will understand that this electric sedan is like no other. Hyundai engineers have designed the new Kona Electric with a clear eco-friendly purpose helping you get to where you need to go without constant stopping for fill-ups. 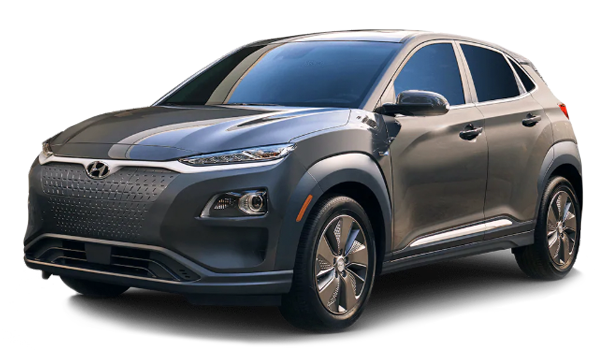 If you are interested in purchasing the all-new Kona Electric, speak with one or our Premier Hyundai of Tracy finance associates to learn about the different auto-loan options available to you. Plus, get your credit options faster by filling out our online credit application from the comfort of your own home.